This used Multivac R140 Thermoformer is built in 2005. 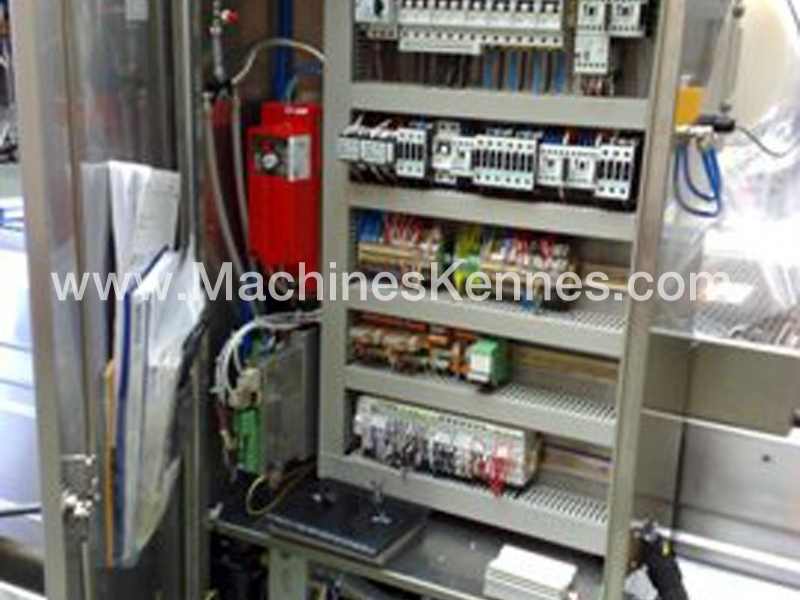 On the PLC in the machine is standing operating hours. 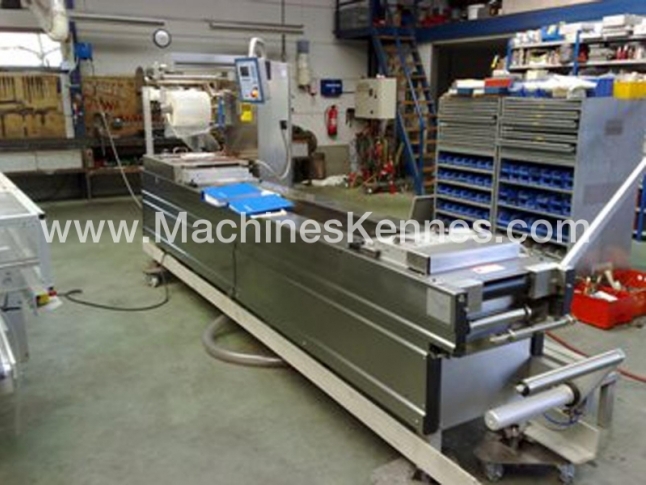 The machine has a film width of mm and there is a dye set on the machine with an exit of mm. The format is now divided in a format. The machine is equipped with formats. 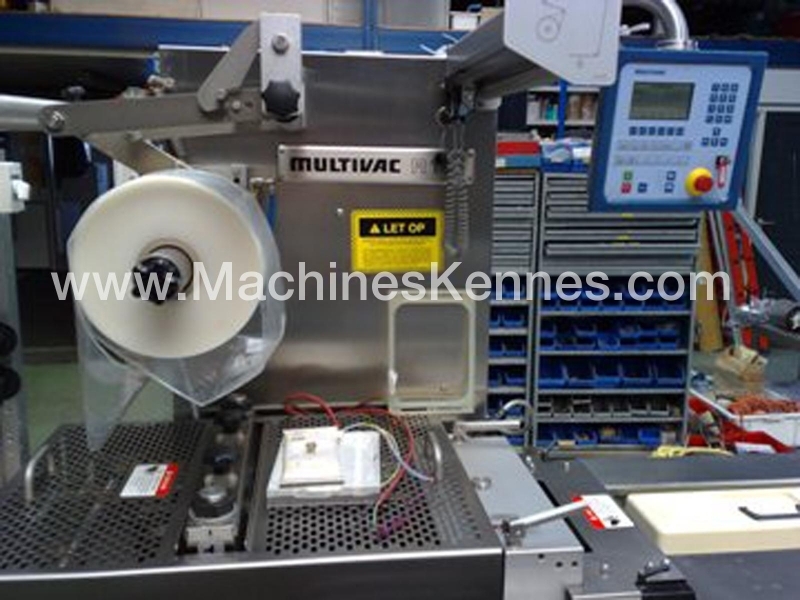 These formats can be used for packaging. The format does not have a stamp. The frame of the machine is currently mm long, but we can always adjust this to the dimension you need.